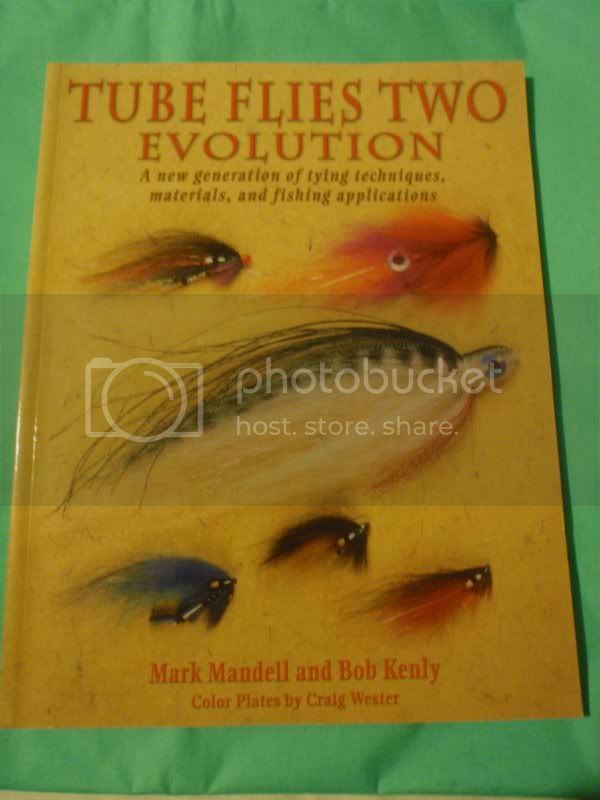 This is the second in the Tube Fly Tying series of books headed by Mark Mandell, the first one being ‘Tube Flies – A Tying, Fishing & Historical Guide’. Overall I would rate this book as better than the first publication, but rather than being any form of update to the first book, it has been tackled in a very different way. There are 35 chapters, each one written by, or dedicated to an individual tyer, and these are drawn from across the world, and from all aspects of tube fly tying – and very clearly not just for salmon fishing. Whilst there is a bio on each of the tyers, and each provides the pictures of the finished flies, and the tying patterns for between 5 and 10 tube flies (well, almost all are tube flies), only one of each of the tyer’s flies gives the written description of the tying method in a step by step fashion, there are no step-by-step photos of any of the constructions. Still, a good & useful addition to the tube fly tyer’s library, but with the lack of SBS illustrations, I would only rate this 6 or 7 out of 10.